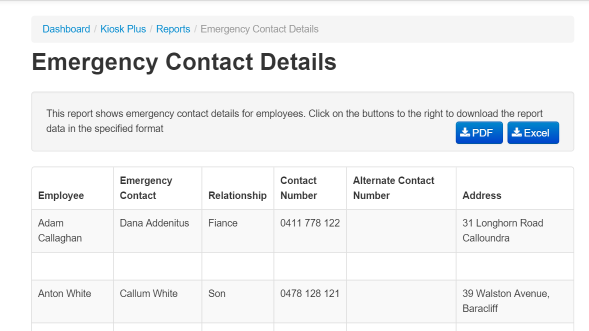 The emergency contacts report lists the primary and secondary emergency contacts for your employees. Loading the page will immediately show you all of the emergency contacts. The report may be exported to PDF or to Excel. A sample report is shown below.